Ever since I saw these stairs in The Happy Home Blog, I have been in LOVE! I have been trying to figure out how this 'look' would fit in my house. 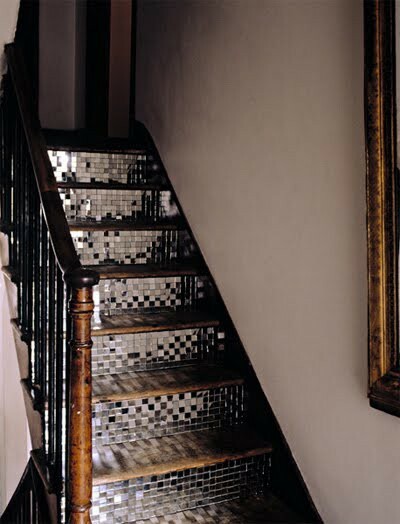 We have a very similar stair case, however I just don't think I would be able to get away with it in my house. But it might work in my bathroom? 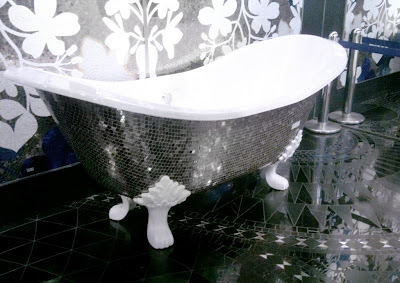 You can have a disco in your bath! 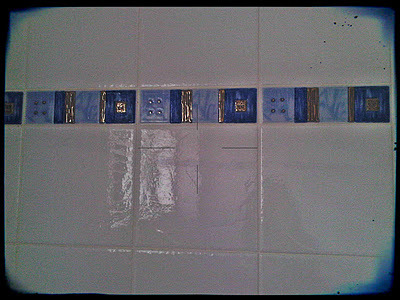 Currently my bathroom (below) is blue and boring. I would much prefer the above bathroom look. 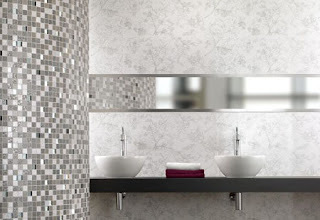 I think the wall tiles in my bathroom would look MUCH nicer with reflective, silver tiles, like the photo below. 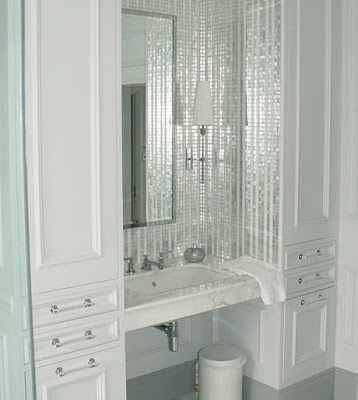 It would just be a simple and relatively inexpensive change... that would make SUCH a big difference to the look and feel of my bathroom. 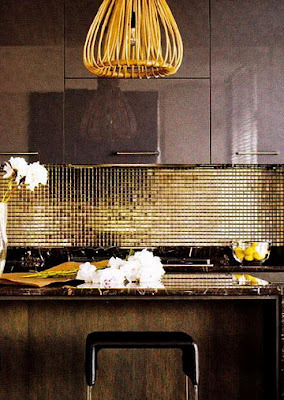 I also like how the gold tiles look in the kitchen below. Something to seriously think about﻿. I just might need to convince a certain husband, as I don't think he will be so keen on the idea. Do you still like the reflective feature tiles? What did you end up doing? I have the same floor tiles and ended up painting the walls a sky blue so I don't notice the floor tiles so much. Then we are going to sit on it to see if we can tolerate the bath and maybe next year replace it with a plain white hex tile. I know I will never get sick of a plain hex tile.